So we tried to hike the High Divide route in the northern Winds. See Harpo’s journal for more detail – but it was essentially a failed effort. We took a 20 mile detour including 5000 feet of elevation gain just to get snowed on. However, in practicing adult decision making it was invaluable. 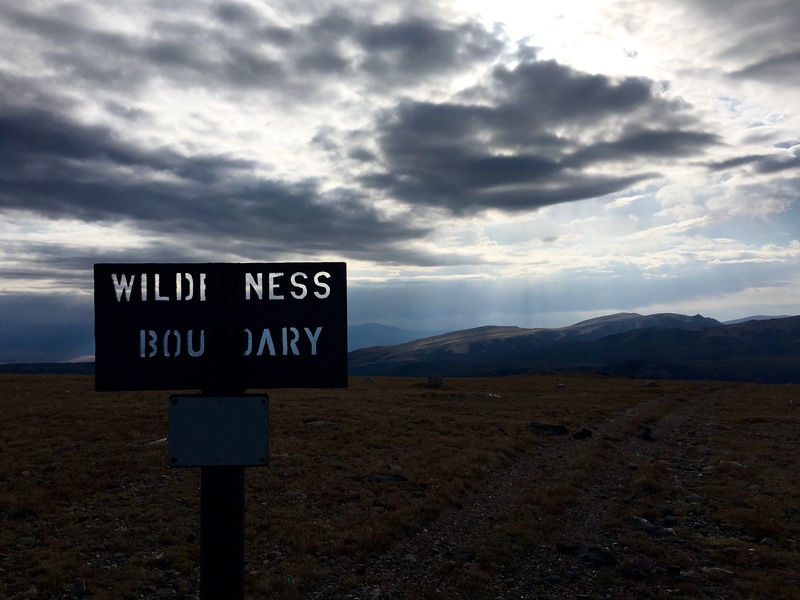 Camped at 11,000 feet on Union mountain, we woke up to snow and saw black clouds across the valley obscuring Shale mountain, where we were planning to ascend. The rest of the range was shrouded in dark clouds with no hopeful sun breaks on the horizon. We hiked 10 miles up a fire/atv road to get here, and at dawn we had to decide if going forward was possible. Otherwise, it was back down and back to the CDT, minus almost a day of food and time. It was a difficult decision to backtrack. But the CDT has, more than any other hike, allowed Harpo and I to enter into a decision making dialogue that allows vulnerability, openness and honesty. 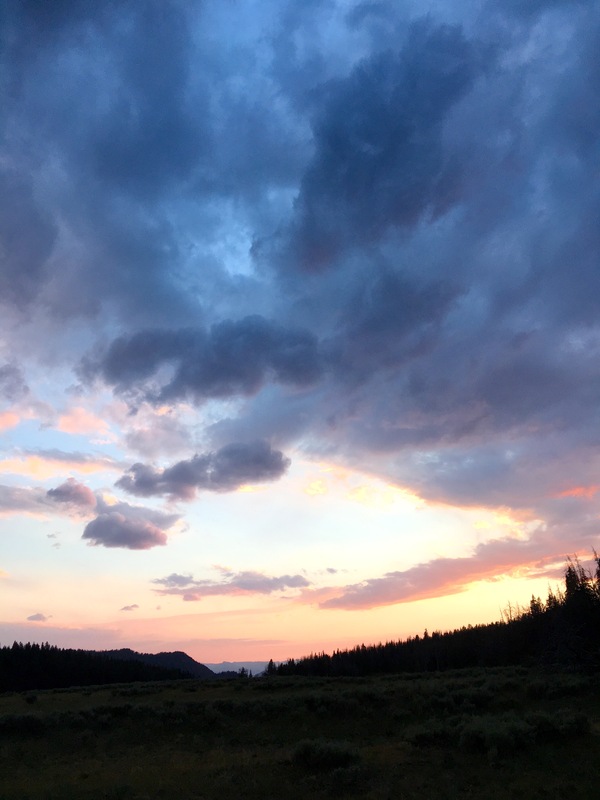 These are the things we hope to get out of thru hiking – ways to connect to ourselves and each other with sensitivity and integrity. It’s easy in the city to ignore these decisions, or make haste, get distracted, lose interest, get defensive or watch Netflix rather than tackle difficult moments together. Out here there’s no other option – it’s live or die, or at least risk uncomfortable days and scary nights. So we waited an hour, drank coffee and assessed our situation. 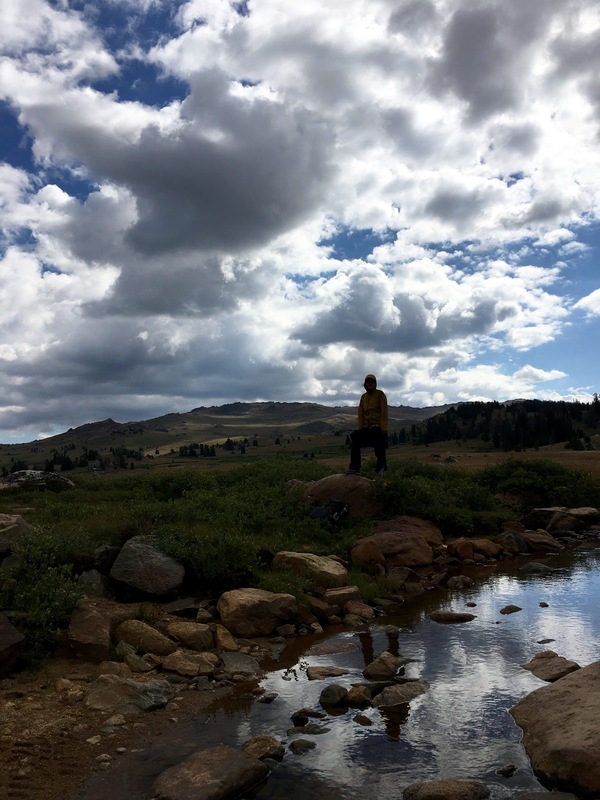 And decided failure was a better option than pushing forward into a potential thunder storm at 12,000 feet, above treeline among the glaciers with nowhere to retreat. Hmmmmm. 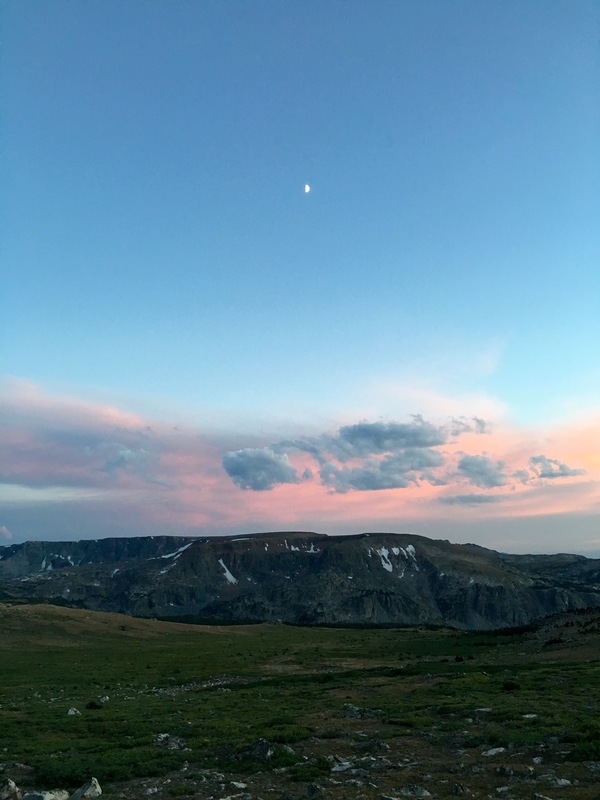 This entry was posted in Continental Divide Trail, wrong way gang and tagged backpacking, cdt, continental divide, failure, hiking, thruhike on August 23, 2016 by GROUCHO.